During the final stretch of our long trip from Berlin to Burhaniye, my feelings startled me. I was, completely and unexpectedly, cringing with dread. I was tired and a bit cranky from our long day and maybe that fed into it a bit. With an early start, two planes and two buses, we were soon to be within a few kilometres of our home for the next three months. Problem was, I knew the way. I pointed out the familiar places from our last visit, recognizing the turns that the bus would take before the bus took them. Though we had been greeted with a lovely sunset on the drive north from Izmir, we arrived in Burhaniye under the veil of night, but that didn’t matter. I think I could have walked it myself in my sleep. 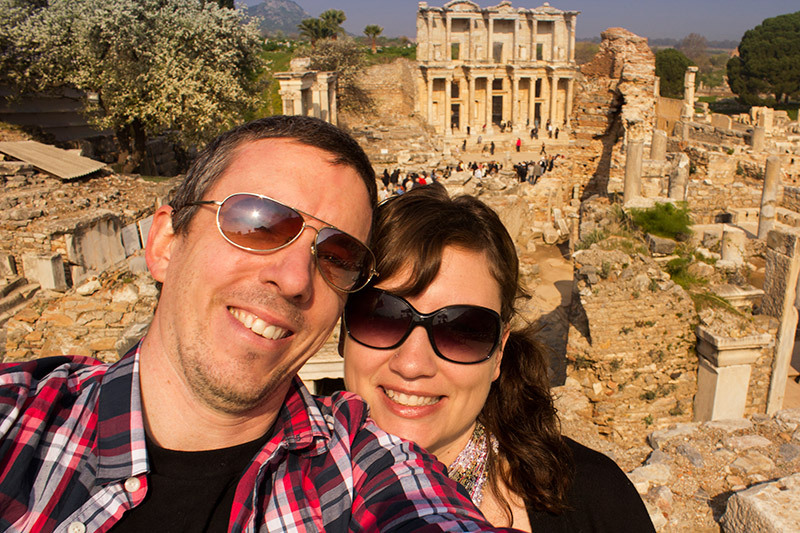 In the weeks leading up to our return to rural Turkey, Pete and I were both so excited as we had fallen in love with the area on our visit last year. I cried at our departure then, and every country since faced stiff comparison to the wonders of Turkey. None succeeded. And so when the opportunity to take up the same house-sitting job arose, we snatched it up. Of course we wanted to return, and of course, it was going to be every bit as wonderful, right? So happy last year at Ephesus! But in our first few days, I felt nothing but anxiety. All I could think of was: I’ve been here. I’ve done this. Where’s the newness? Where’s the challenge? I felt regret at our decision to come, and panicky that we had committed over two months to it. My feelings were so unexpected. This is the first house-sitting job we’ve been so happy with that we returned. This is only the second place in four years that we’ve come back to (besides visits home). And after the first few days, I wasn’t even ready to give it a chance. Pete kept saying that it felt like coming home, and it truthfully did feel that way for me a little too. And maybe therein was the problem: my perception that it was too comfortable, too easy, too known. After a long travel day, we usually find ourselves stumbling through a new place, eagerly waiting for the new dawn so that our exploration could begin. That isn’t possible here. Clearly it’s not Turkey. It’s me. And it’s an addiction, I’m realizing, to change. To constant originality, to challenge. Such that it makes me look at this place, this corner of the world that became so beloved to us just a year before, with anxiety and trepidation. 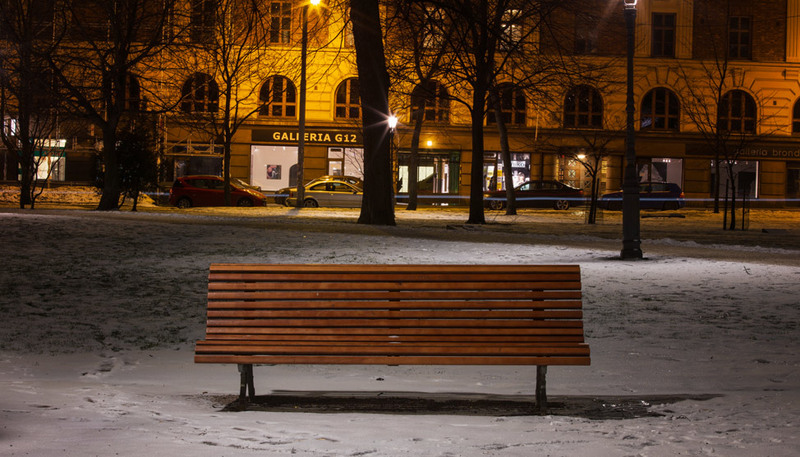 No one thing stands out as the reason to be in Helsinki, but a dozen little things do. 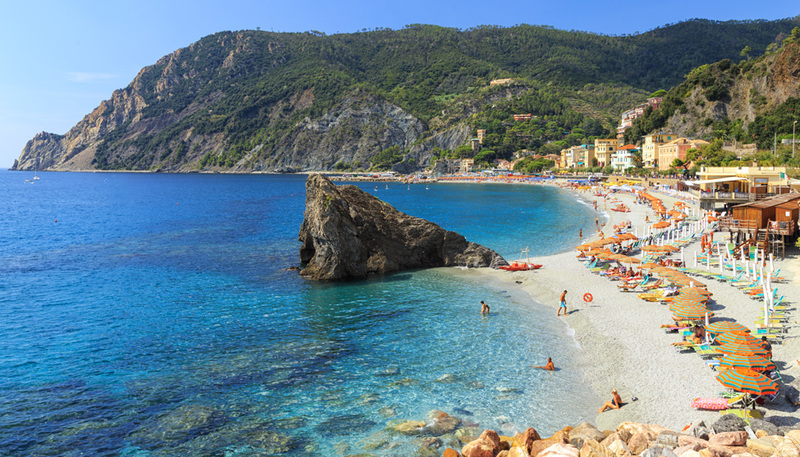 Cinque Terre may not have been our first choice (but we're still OK with that). I don’t think it’s a problem, but shows your insatiable curiosity. Even when I lived in Calgary, I hated hiking the same trail more than once, as I always felt like I was missing out on something new, something better perhaps, or at least something different. Since settling down in Germany, I’ve gotten much better at slow travel, but still rarely have the desire to go back to the same place more than once – there’s just too much else waiting to be explored. I think that’s it. In reality, we probably won’t wander the globe forever and ever, and so I keep thinking that there is so much of the world yet to see. I don’t want to miss out! “And maybe therein was the problem: my perception that it was too comfortable, too easy, too known.” – My sentiments exactly! The hubby’s complaining that I don’t take him to the most awesome beaches in the Philippines just because I’ve already been there. Haha. Interesting! I feel like I’m going in the opposite direction after having travelled to over 60 countries and having lived abroad for 8 years (and having been an expat 5 different times – soon to be 6!). For the first time EVER I am craving a true home base (but not in Toronto which is strange since I was born and raised there). Additionally I crave familiarity and more and more I’m eschewing travelling to new places in favour of my old favourites/standbys. Maybe it’s just a phase? I think it all may be one giant cycle. And I expect we will reach that phase at some point too. Uh oh. I think I may have the same problem. Maybe there’s a cream for it, or something. Hope you can enjoy Turkey nonetheless! Haha! Wanderlust calming cream – there would definitely be a market for it! A part of me can fully relate to this. I’m always dreaming of far-off destinations, never satisfied when I’m at home unless I have another adventure on the horizon. But, there’s another part of me that’s always drawn back to certain places I’ve been to before (New Zealand, London, Chicago), and that’s okay, too. There are certain places that just leave footprints on our hearts, just as we leave our own footprints in them somehow. I hope you find a way to re-fall in love with this house sit! Your first paragraph is me to a T!! At work thats all I do or talk to travellers to find out any hints I may be able to use. The biggest hurdle seems the visas.No-one here is much help. I dont understand this Schengen thing with visas?? I hear ya Dalene. The addiction to ever new and novel places. I think it’s mostly a deeeeep curiosity for this wide, wide globe with so many wondrous corners, each unique, and the frustration that I can never explore all of them even halfway well in one lifetime, and… yes partly a kind of addiction for ever new stimulation. There’s also the adrenaline rush of challenging myself in a wholly new place, language, culture. Dropping into the middle of some strange spot on the Planet, and somehow navigating it all. Indeed, I’ve often compared it to the adrenaline rush of bunging jumping off bridges or stepping out of airplanes (neither of which I’d ever DREAM of doing) but still… the addiction to such challenges seems similar. I seem to wax to and fro on staying put and enjoying the simple things – getting to know a culture/country more intimately vs. skipping off to ever new wonders I’ve heard about. I guess you could call it the “Nest vs. Curiosity” affliction. Presently I’m enjoying staying put awhile here in my beloved cool, green mountain hamlet here in Vietnam, yet… trust that seldom does a day go by when I’m not trolling for cheap airfares, festivals, etc. It is a wonderful disease (in a way). And I do like digging into the culture too and staying longer, but maybe it’s just the idea of returning to it instead of trying something new is so unsettling. I totally understand what you mean. I returned to Bulgaria after two years for the TEDx Talk last weekend and I was excited until I got there. And once I was there… nothing, same old stuff. It wasn’t the same like the last time when it all was new. I was more or less happy when I left after four days. I feel bad for feeling this way but it just wasn’t new. Sebastian @ Off-The-Path.com recently posted..Teil 1: Ich lebe meine Träume, und du? Do we put places on too high of pedestals, maybe? I don’t think it’s a problem… it’s a drive! In some ways I can relate — I love the thrill and challenge of a new destination. But I am a serial repeat offender and find great joy in returning again and again to the places I hold dear. I understand a little bit of what you’re going through—for so long I have taken comfort in the things that are known and safe, and have considered myself a bit of a homebody. In some ways traveling has changed this for me because now there is nothing I love more than waking up each day and knowing I am going to be doing something entirely new, but I’ve also realized that for me, now traveling is my comfortzone, and the thought of going back home, that terrifies me. I am constantly worried that the next time I set foot in Canada, I’ll get trapped and never be able to leave again… and there’s so much more I need to do before I “settle” down. So our fears are not identical, I don’t think, as you don’t seem to be terrified of returning home, but then again, neither of us seems to want to retread old ground or feel like our wings have been clipped! I can so relate to this, Dalene. Instead of feeling happy to be headed home at the end of each trip, I feel anxiety. And even more so if the next adventure isn’t planned. I, too, rarely want to return to the same place because there is just too much else to see and experience. It is indeed an addiction. Welcome to travelaholics anonymous! Oh no ; That is not good news. You were so looking forward to coming back. Isn’t there places to explore close to home, where you can use the bus to get there? 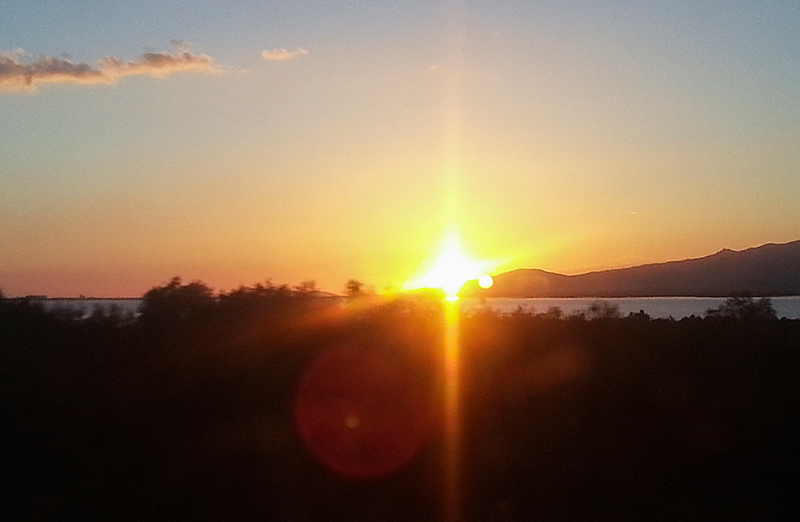 Not sure if you have already done it but Ayvalik, Ayvacik and Assos look close by. All are well known seaside resorts for Turks. 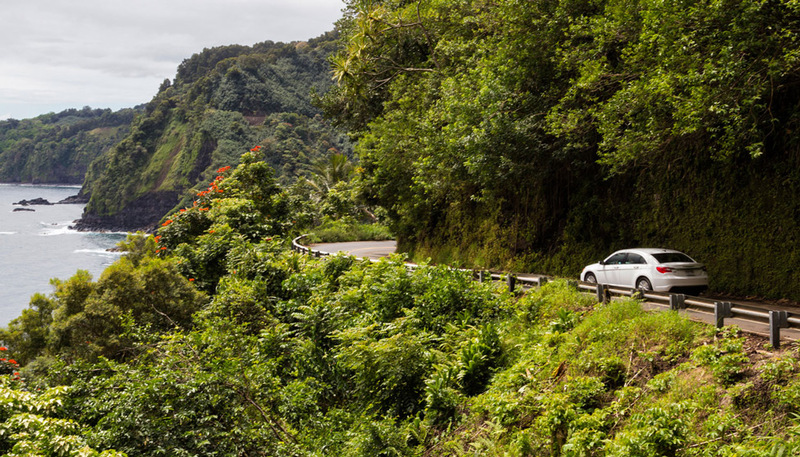 If they are not accessible easily by bus, perhaps you can hire a car for the week and just explore every day. Might help you to be positive about your stay there. It is lessening as time goes by, I hope it was just my initial reaction. I am quite enjoying myself and we have spent more time in places we missed last year. I do want to get to Assos! Aye. Novelty is a drug. It’s Red Bull. Everything is super-real and glittery – and when you’re going cold turkey, the world is grey and drab and you feel like you want to grab people and shout “DO SOMETHING NEW!”. Well, that’s my experience of it. And here between bouts of travel I’m kinda starved of novelty right now. But there’s also a deeper novelty to chase, wherever you are. The one that deep background journalists are interested in when they lodge themselves somewhere for weeks at a time and start digging. The kind novelists are obsessed with – the “secret lives” of peoples and places. The weird doorway you’ve walked past a dozen times and only now try opening, to find it’s unlocked, and leads somewhere you never even suspected existed. The weird bits of architecture you have to force yourself to see because familiarity keeps getting in the way. The old lady you see every morning on the way to buy groceries, who turns out to be a retired Cold War era spy-hunter. And so on. Mikeachim recently posted..One Year Later, Am I Living The Dream? So you’ll join our Travelholics Anonymous club? TA, as it were? Raymond @ Man On The Lam recently posted..Stop and…Eat the Roses? Man, I’m right there with you. We’ve taken a break from globetrotting to get our house sold back in NZ. We’ve been here for nine months, it’s a slow process, and it’s doing my head in! There’s no novelty, no newness, no challenge in every day life. I think that’s what I love about travel. Some people are creatures of habit, I think I must be a creature of change. I hate when things stay the same for too long… hence the travel addiction! It’s the challenge that I miss, for sure. Finding my way, meeting new people, etc. I am feeling the complete opposite, how interesting! We are “settled” for the first time in 9 months with 2 months in Bali. Yesterday I said, I am so happy right now to not be planning any travel, not to be researching anything. I think I needed a break after 25+ countries in 9 months. But, like you, I will be itching for something new soon enough. Oh, I do enjoy being settled every once in awhile – in fact it’s necessary to stave off travel exhaustion! It’s just this repeat visit I think, that made me have this sort of realization. Honestly, what you described here is exactly why I like having a home base and taking my travel in spurts! It keeps it exciting that way. We’re heading back into the Yucatan and into our third time to Tulum. I’m having the same fears you are… I’m curious how it will end. I think a lot of people like the idea of constant travel, but it must become cumbersome at some stage. As already mentioned, I think the key is travelling for a while, then setting up base for a few months and then rince and repeat. Hopefully you’ve settled in now! I would be worried about a place not living up to the amazing time I had previously, but I also imagine that once you get used to the idea, it’ll be nice to relax in a familiar setting before hitting the road again. Oh good, so its not just me! I love house sitting, but I love being on the road more and I constantly crave it when we are in one place for any length of time. We do not take sits longer than 6 weeks exactly for this reason! (We have 7 weeks in Barbados next but Im hoping Ill be able to deal with it because its Barbados!). Ive heard from many people that they get tired after traveling for long periods of time. Not me, I feel more energized during those times. There is nothing wrong with going back to the same place….I love to explore and relish the idea of new places, but for me, Mallorca is my place of multiple returns. In 5 visits, I still find new places to experience on the island, but I relish going back to a place I know. It has a familiarity that makes me feel like coming home, even though I am going somewhere new. I am addicted to travel too, and sometimes that includes returns to favourite and familiar places! Happy travels!